KoopaTV: Apollo Justice: Ace Attorney Now Out On 3DS! 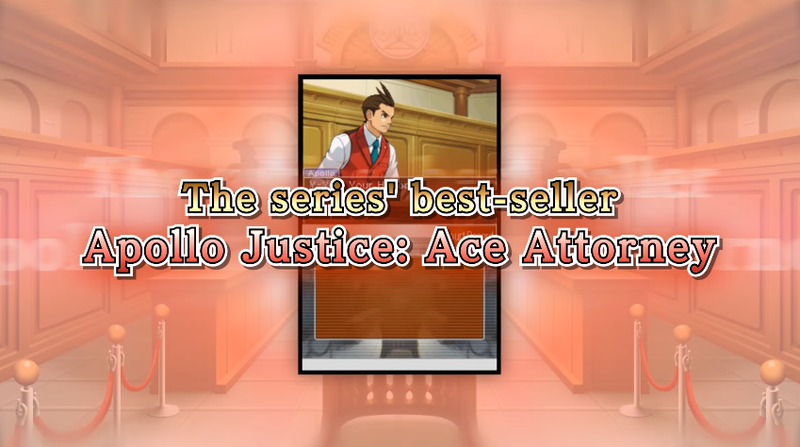 I find it hard to believe that Apollo Justice: Ace Attorney is the “series' best-seller” but CAPCOM knows a lot more about the sales data than I do, since they don't release the numbers unless they're million-sellers, which none of the Ace Attorney games are. This wouldn't be the first time FAKE NEWS was spread about this game recently, but it could be true. I spent a bit of time in the article where we learned that the 3DS version of Apollo Justice: Ace Attorney would be coming out today trashing its “Story Trailer” for lacking English voice-acting. It appears the reason for they did this is because they want to spend a lot of time promoting that the game has the Japanese version in-tact and available for your bewilderment. They didn't even have any voice-acting in this launch trailer besides Apollo's OBJECTION!... and Japanese Apollo's (Housuke Odoroki) IGIARI! 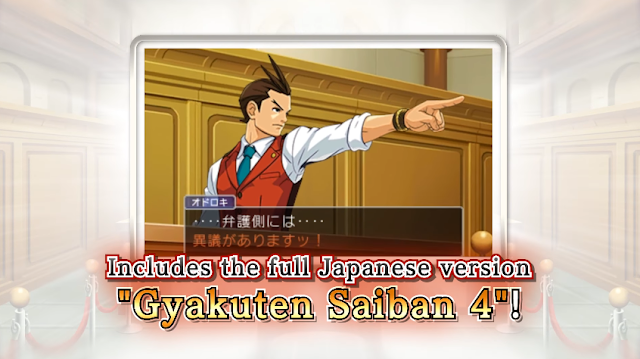 Is it just me, or does Apollo actually look Japanese in Gyakuten Saiban 4? I'm not sure if the hope I expressed when I wrote, “there is still hope for Apollo's debut game to get a proper trailer a month from now” in that release date announcement article actually got fulfilled with this trailer. It was kinda meh. Regardless, there is an entire good game you can enjoy right now if you download Apollo Justice: Ace Attorney from the Nintendo eShop. It's only $20! (All the other Ace Attorney games are $30 when they aren't on sale.) It takes up a whopping 2,738 blocks on your 3DS memory, so if that is an issue for you, don't be like Rawk and refuse to manage your data. Ludwig does not plan to get the 3DS port of Apollo Justice: Ace Attorney, even though he has a “spend as much money to support Ace Attorney as possible policy.” He already owns the game on the DS. The loss of Miiverse is a major factor in his decision not to buy the same game he already owns, though it appears that if Apollo Justice: Ace Attorney was on Miiverse, you would get banned for posting about it. If you're in Europe for some reason (that's where all of the Ace Attorney characters go to travel/be educated), then Apollo Justice: Ace Attorney is released on November 23 for you. 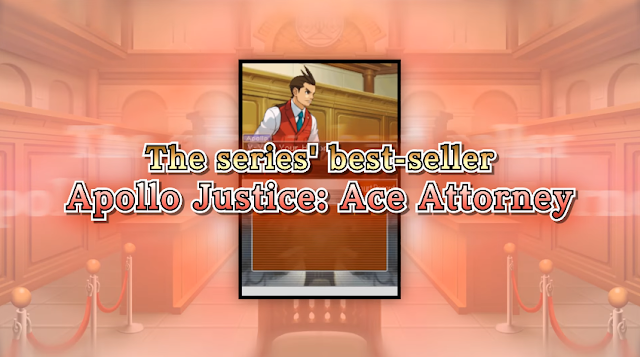 Ace Attorney is critical to the success of KoopaTV, and vice-versa, since KoopaTV is responsible for the franchise's success. Please buy and play through Phoenix Wright: Ace Attorney Trilogy before purchasing Apollo Justice: Ace Attorney. Contrast this article to when Ludwig freaked out that Apollo Justice: Ace Attorney was released on mobile trash, first. It has been a little over a year since I completed Apollo Justice, so I will not be purchasing the game again. Instead, once I finish my finals next month, I plan to jump back where I left off in Dual Destinies. Knowing Capcom, despite only costing one twenty dollar bill (plus tax), they will eventually give it a discount, like all the other Ace Attorney games. On that note, Spirit of Justice is already discounted for Black Friday! As far as the game, Spirit of Justice and Apollo Justice are the ones I'm least spoiled on. I'd dare say that the Nintendo 3DS is the definitive way to play any and all Ace Attorney games! Despite this, I have to save my well-earned eShop cash for other titles and/or deals. I also heard Rhythm Heaven: Megamix! (a digital-only title) is on sale. Also, the Nintendo 3DS is getting more love than the Wii U. I felt like I needed to point that out. Yeah we're gonna talk about the CYBER DEAL for Friday.